Well, today, I am displaying one of my best Drawings in a 12x16 Canvas, Painted in Acryllic. 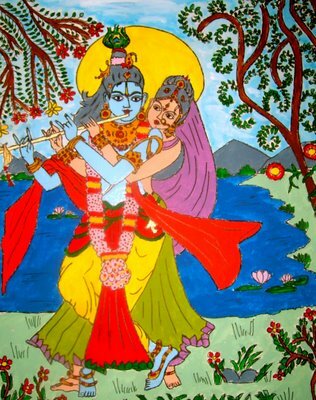 Let me describe the painting, its Radha standing behind Lord Krishna, and both playing the Flute simultaneously. This painting took about 4 hours on an average from start to finish. I am not convinced with the finishing, and hope to do well in the future paintings. Keep your hobbies alive.We are here to appreciate it. "Eyes" have come out very nice. WOW! Your paintings are great. You should probably do any online painting class. I love to paint and it is long since I took up big projects. Please do add some techniques it would be greatly appreciated by all art loving people. Hi Anonymous, thanks for dropping by. 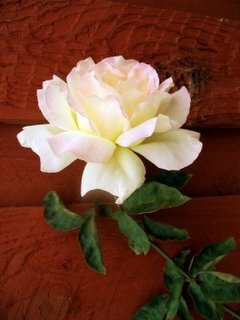 and thanks a bunch for your sweet words. Let me think about teaching the drawing techniques.